Perform structural corrections to assist RNR integration. Cranial and standard spinal adjusting methods are used. Assess the neurology and biochemistry of the neurotransmitters associated with each RNR and give you the tools to test for and support your patient's neurochemistry. Your patient’s development, whether young or old, can be dramatically enhanced by assisting the integration of retained, or regained, neonatal reflexes (RNRs). The corrections are quick and easily included in your standard appointment schedule. Please Note: Retained Neonatal Reflexes is an approved Advanced ICAK course approved by the ICAK International. It is a requirement that all attendees have completed the AK Certification Course prior to attending this course. Certification in AK is not essential. What is a Retained Neonatal Reflex? In the womb and in early life, when the decision making process has not fully developed, your brainstem has several reflexes called ‘primitive’ or ‘neonatal’ reflexes. They help you to grow properly and safely. For example, they help you in the birthing process, breast feeding and gripping onto things. As you mature these reflexes are no longer needed so they take a ‘back seat’ and the higher brain takes control. This is an essential and normal stage of your development, allowing you to perform the more complex tasks required in classroom learning, movement control and social interactions. However, due to birth trauma or development restrictions these reflexes might remain dominant. This means that your nervous system will automatically react inappropriately and undesirably in certain situations. This will adversely affect your development, learning and behaviour. This is a Retained Neonatal Reflex. Using specific RNR techniques founded by Keith Keen DC in the 1990s, further developed by Australian Chiropractors, and now taught all over the world, we can assist in the integration of these reflexes that could be holding bright children back. To find out more visit retainedneonatalreflexes.com.au. Keith Keen is the founder of the Retained Neonatal Reflexes® technique and has spent the past three decades refining the arts of hands-on therapy of learning difficulty and developmental delay. With his inquisitive nature Keith used the AK paradigm to develop techniques that assist the integration of neonatal reflexes. These early findings in the 1990s evolved to the corrections now taught in this seminar. His early university study awarded him a Bachelor of Arts with honors in Psychology 1967, followed by thirteen years of Behavioural science research in the special senses, mainly vision and audition. With a keen interest in the healing arts Keith graduated with Doctor of Osteopathy and Doctor of Chiropractic in Sydney, Australia 1982. The following year he gained his advanced diploma of Acupuncture. 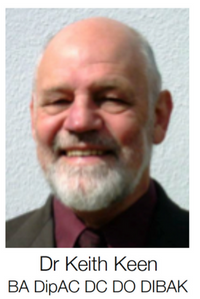 Since 2001 Keith has been an active teaching Diplomate of the ICAK and for many years served in highly regarded positions on several local and international boards. Our ever spritely Keith also enjoys choral singing, kayaking, winter ocean swimming and more recently the delights of living above the clouds in the Blue Mountains with his gorgeous wife Wendy. Since age eleven Susan knew she was destined to become a Chiropractor. Her sister who had chipped her tailbone when pushed over at school and Chiropractic care had helped it mend correctly. Better still it allowed her to sit without pain and enabled her to focus again on her school work. It immediately made sense to Susan to put your hands on a body (often a missing step in modern day healthcare), and try to work out the problem before resorting to medication and other more costly, risky, and often preventable intervention. 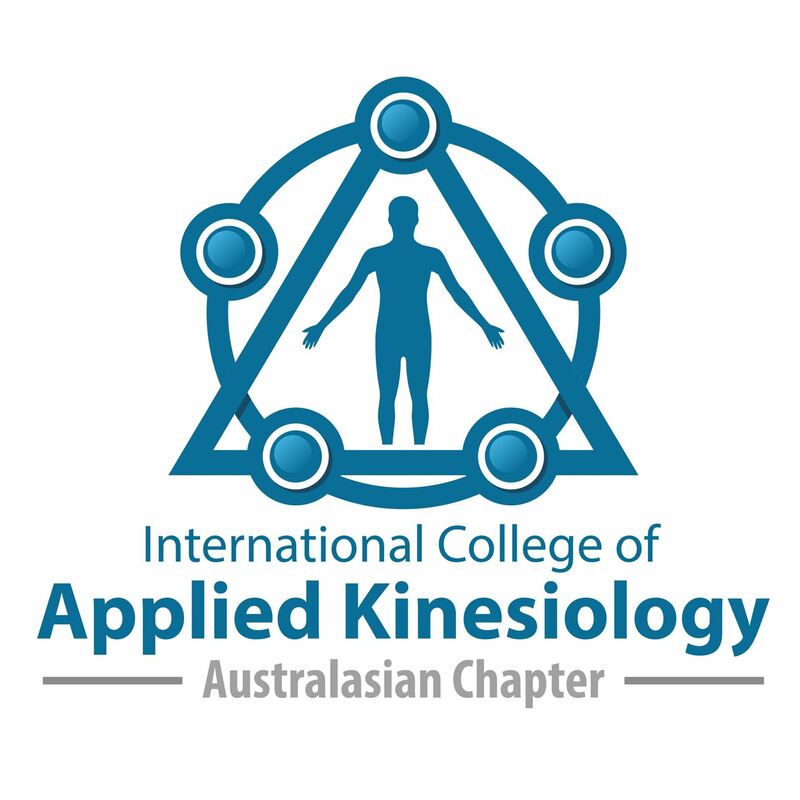 During the last year of her Masters, Susan took on an additional night course taught by ICAK Diplomate Dr Keith Keen (Chiropractor) and upon her graduation he asked her to join his clinic on Macquarie Street, Sydney. By soaking in Dr Keith’s life’s learnings, it placed Susan quickly amongst the sought after practitioners in Sydney for child care. Susan has contributed to Applied Kinesiology and RNR development for more than a decade and teaches both techniques locally and internationally. She has been a teaching Diplomate for the International College of Applied Kinesiology since 2008 and one of three qualified Retained Neonatal Reflexes (RNR) teachers in the world. 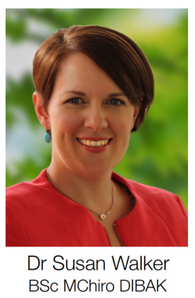 Along with Dr Keith Keen (Chiropractor), Susan has received worldwide interest in the RNR methods, a strong professional following, and a long list of happily thriving little patients. She maintains a busy clinic and is loving mothering her bright 3 year old daughter. Please note: Your fee is for both Part 1 & 2, taught over two 3-day-weekends. If you are unable to attend Part 2 this year, you are able to attend Part 2 in the next calendar year. 21 days written notice must be given. Registration fee is non-refundable and non-transferable. Numbers are strictly limited to ensure intimate learning and well guided workshops. This course will book out so register now to secure your place. Novotel Sydney Airport will be offering special pricing for conference attendees - this information will be provided in your confirmation email upon registering for the event. Registration is limited to those who have completed the AK Certification Course. Being certified in AK by completing the exam is not required. 'Refresher' must have completed the full RNR course previously. 'Students' will be asked to present their current University Student Card. Cancellations must be received in writing to events@icaka.org.au within 21 days prior to Part 1 or Part 2 to avoid a 50% penalty fee. This two part program has been assessed by ACA and has been allocated 32.5 hours FLA hours. If you have any queries regarding the seminar, click here. If you have any problems registering for the seminar, click here.